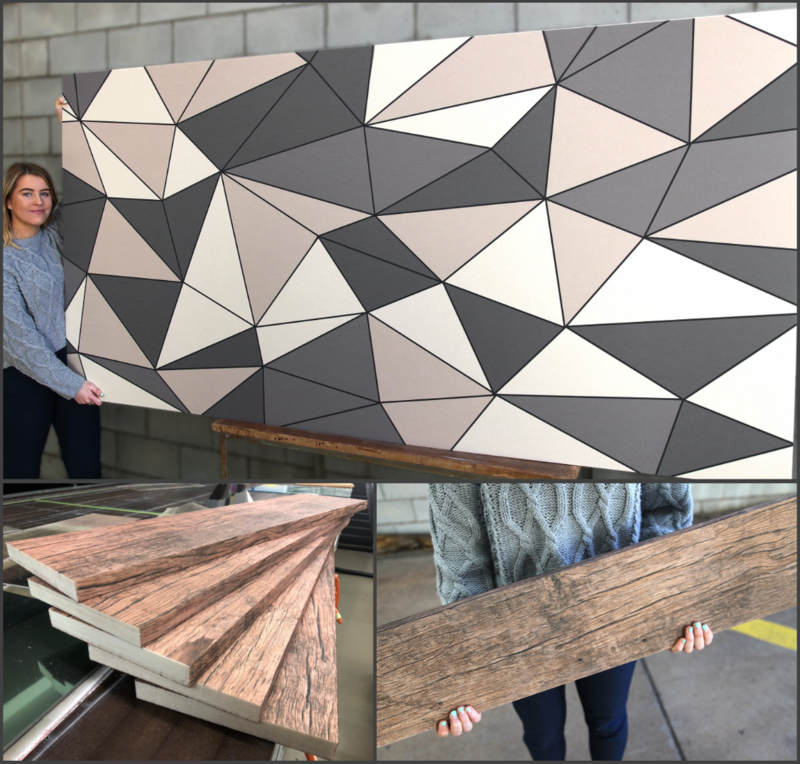 For years, Gen-Eco have been developing more and more digitally printed products, including, plywood, MDF, compressed fibre cement, lightweight beams and now EchoPanel®. EchoPanel® is a decorative interior panelling solution with outstanding acoustic properties. Using large format digital print technology, Gen-Eco are able to offer EchoPanel® with an unlimited range of design possibilities, limited only by your imagination. Ability to print design on the edge profile. Consistency and quality of the face veneer. The original brief required a solution that was strong, sustainable, contained adjustable shelving and a natural look. 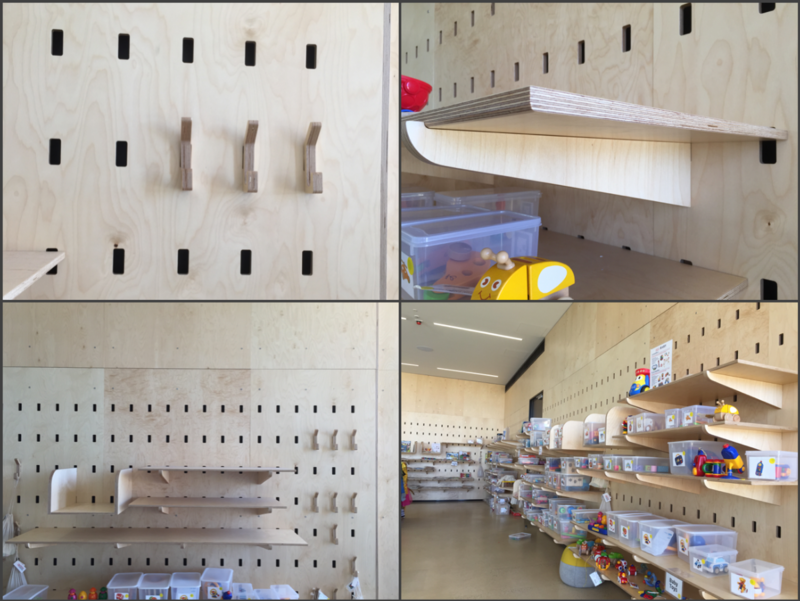 Credit to local architects JPE Design Studio for their creative design, Keystone Linings & Acoustics for their clever modular wall design and builders, Minuzzo Project Management, for the installation. For more information on the design of the modular components of the wall design and shelves, contact Guy Surfaces. Product: Gen-Eco European Birch Multiply shaped for modular Key-Wall shelving. Copyright © 2019 Guy Surfaces Pty Ltd, All rights reserved.